One of my first baking experiences, besides a simple cake, were muffins. I love muffins! They are simple and versatile and fun! Of course there is this rivalry with Cupcakes, but often I find cupcakes too sweet. Muffins on the other hand can be savoury as well. This recipe isn’t, but it’s on my “Baking Bucket List” to make a savoury muffin one day. Another meeting at work with people coming in from out of town and I thought I should make a little snack for them. 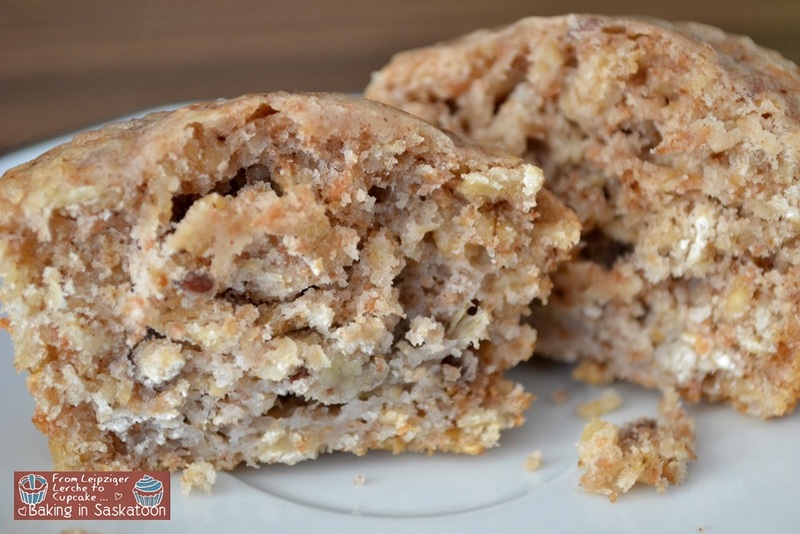 Muffins always work and after checking my recipes and the pantry I decided to go with banana and oats. Fruity muffins wake you up and oats give you and energy kick, perfect combination for meetings. My boss even liked them and she is not a fan of bananas in baking. You may use fresh or frozen bananas for this recipe. I used frozen bananas because I had nothing else. If you do the same, I suggest that the bananas are as much frozen as possible so that you will get chunks of bananas. Otherwise it will be more like banana bread, which is still good but not what I was looking for. Combine all dry ingredients as well as the oats in a bowl and set aside. Then mix the oil with sugar, add the egg as well was vanilla sugar/vanilla. Pour in the milk and mix until well combine. Now sprinkle the dry ingredients on top and combine again. The bananas are the last to be mix into the batter, carefully. As mentioned above, you do not want to have mushed bananas. The batter will be fairly runny, so don’t worry. 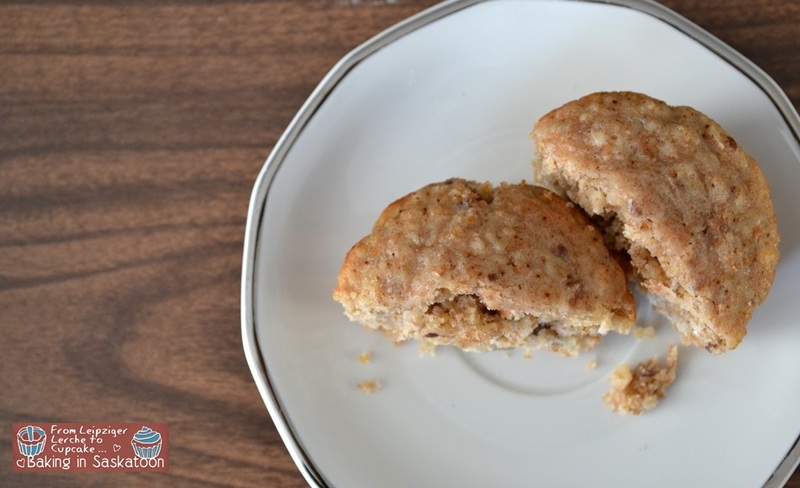 Get out a muffin tin and either line it or grease and dust with flour. Then spoon the batter into each mold until full. Bake at 200°C for about 20 to 25 min. Check with a skewer to see if they are done, if it comes out clean, remove the tin from the oven and let it cool for a bit before removing the muffins from it. I served them plain, but you can also dust them with icing sugar or even drizzle some chocolate on top. 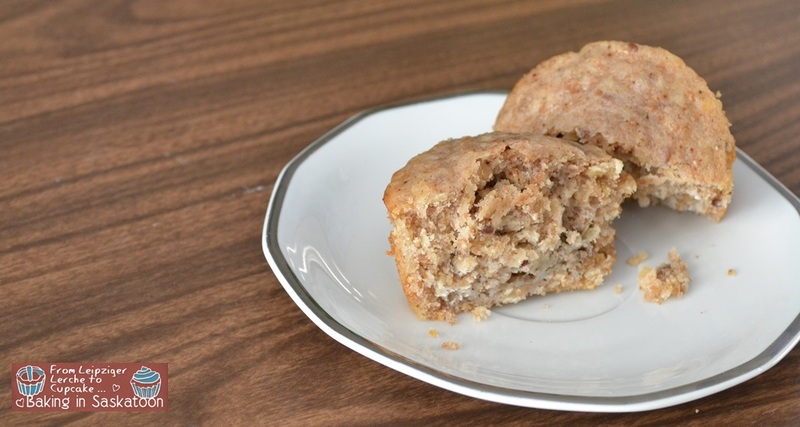 The oats give this muffin a nice crunch and the bananas a good round fruity flavour. 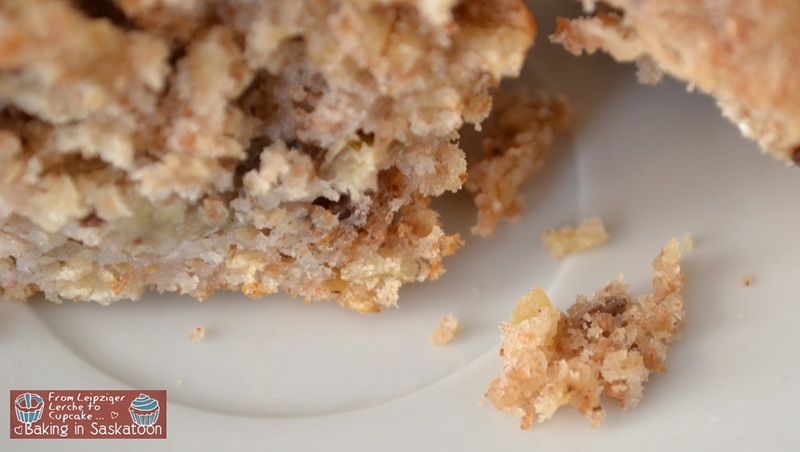 Posted in Breakfast, Muffins and tagged baking, banana, breakfast, muffin, oats, quick, recipe. Bookmark the permalink.